So Hubby was going to be away for our 18th wedding anniversary. I was sad but hey when business calls... what I didn't know was he was planning to take me with him. SQUEEEEEEEEEEEEEEE!!!!! Forget my wool socks and heavy coats. Hello Gorgeous beautiful Romantic Sunsets. Kissing the Tycoon book 2 in the Sherman Cousins Short Story Series And yes there will be guest appearances by Tony, Trenton, Haven, Callie, and J.C.! Thank you Samantha Princefor coming to chat with us today. Why do you think Margaret Daley choseyou to represent her? 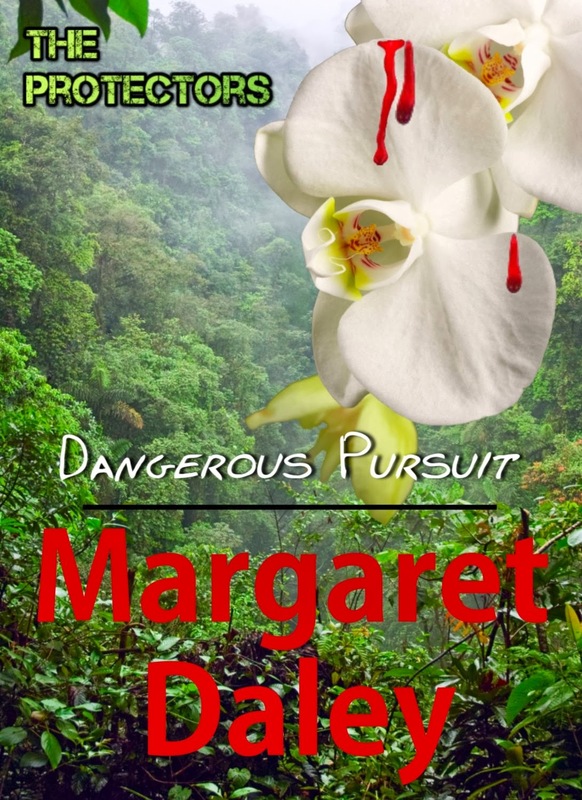 Because Dangerous Pursuit wouldn't be possible without me. It was my twin brother who went missing in the Amazon. I own a bookstore in New Orleans where I have lived all my life. To see different places in the world, I read books. I love reading so I have a great job, telling customers about good books. I have a twin brother and when he went missing, I had to try and find him. I ended up in the Amazon so totally out of my element and worse, someone was after me—I think because of my brother. Let's just say over 21. Where do you live? What is it about that area that drew you? New Orleans is where I live and I love my hometown. I have relatives and friends here as well as my business. I like a lot of different kinds of music, but I guess my favorite is pop.